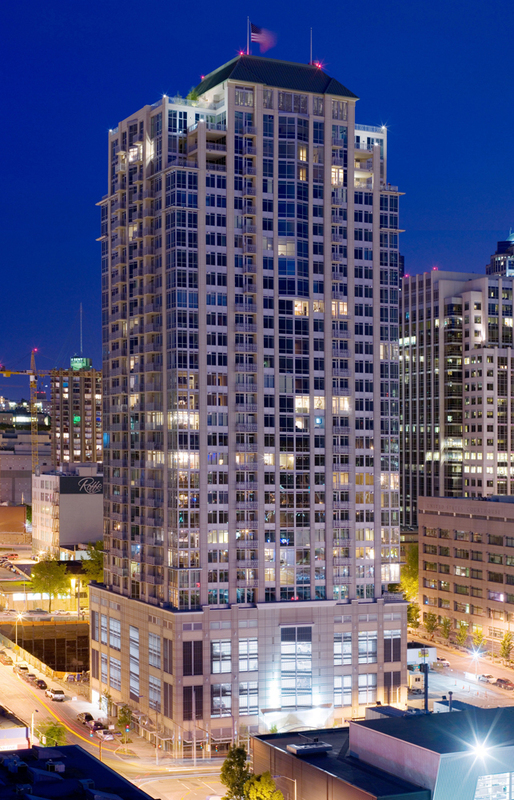 The Cosmopolitan is an elegant addition to the downtown Seattle skyline. 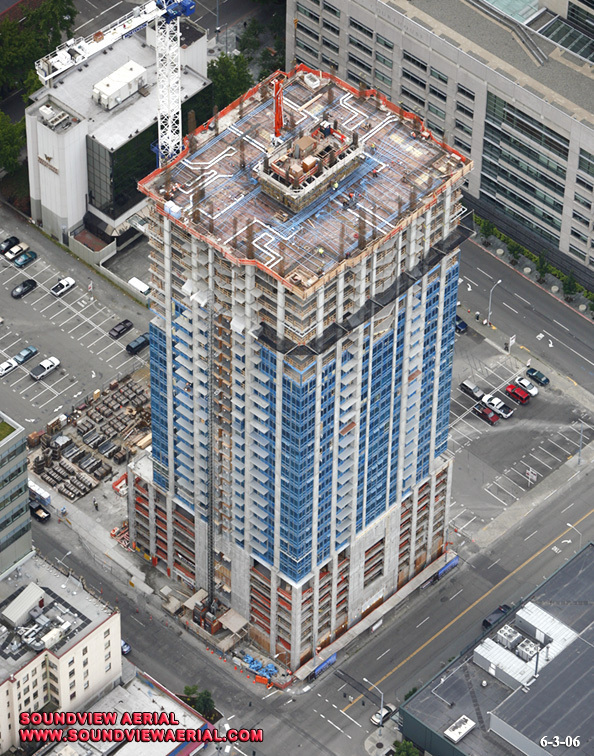 The 33-story building includes a rooftop terrace, street-level retail, eight levels of parking, and an amenity level with an exercise room and swimming pool. The structural design incorporates several state-of-the-art systems. Seismic loads are carried by an internal shear core designed using displacement based analytical methods. 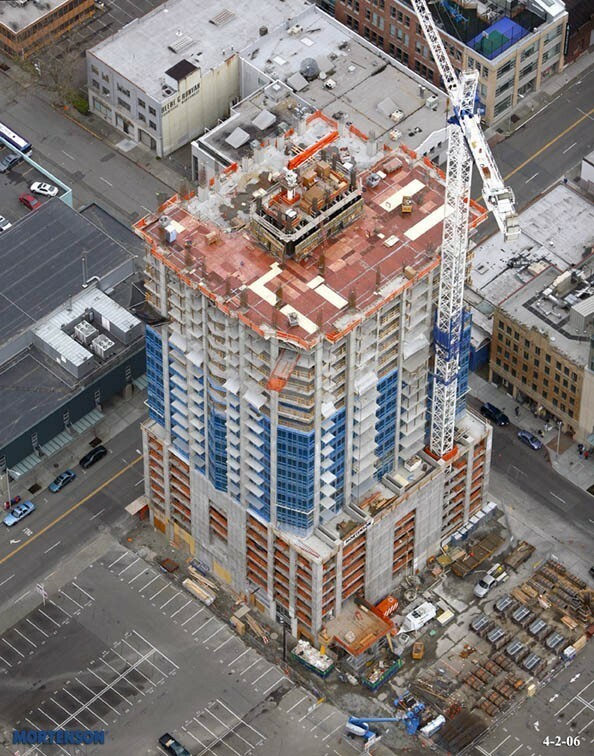 Variable thickness hybrid floor slabs span uninterrupted from the building perimeter to the core, which allowed complete freedom in living unit and parking layouts due to the elimination of all interior columns. 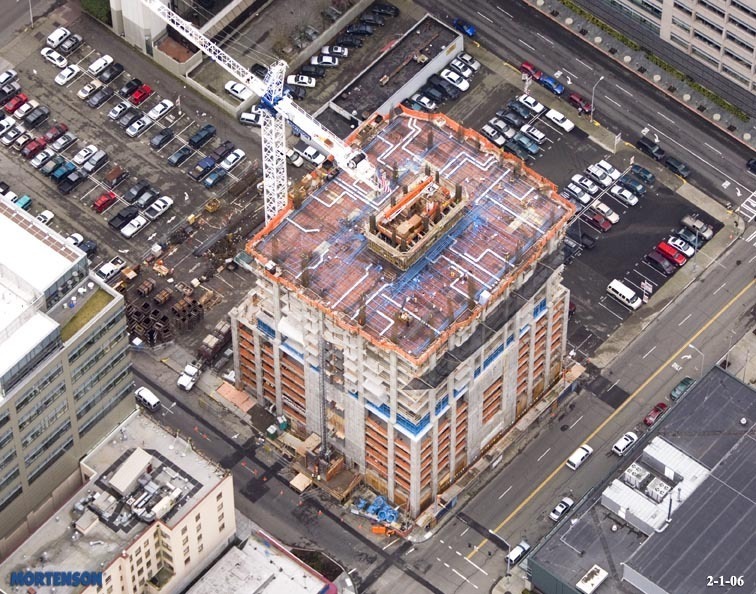 Both the Washington Aggregates & Concrete Association and Post-Tensioning Institute awarded the project first place in their annual competitions for excellence in design, engineering, and construction. The National Council of Structural Engineers Associations named the Cosmopolitan a finalist in its annual competition as well.